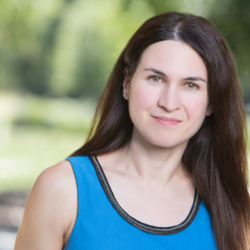 Katia Ostrovsky is an Associate Director of Public Investments at the William and Flora Hewlett Foundation. She is responsible for managing the investments in the public debt portfolio. Previously, she was a director in the risk and quantitative analysis group at BlackRock, responsible for risk management oversight and analytics of the multi-asset portfolios. Katia’s tenure with BlackRock spanned 13 years and included other roles in risk management, performance attribution and fixed income portfolio management. Prior to BlackRock, she was with Century Bank and Trust, focusing on asset liability management and capital structure management. Katia graduated from the University of California, Berkeley, in 2001 with a B.S. in business administration. She earned a CFA designation in 2008.